These are more than “vanity” pictures as each post includes a reminder that I can get a free “small” cup of McDonald’s coffee this week. To this I say – brilliant! I know that these people are not just posting these pictures and accompanying “sales” messages because they think its funny. 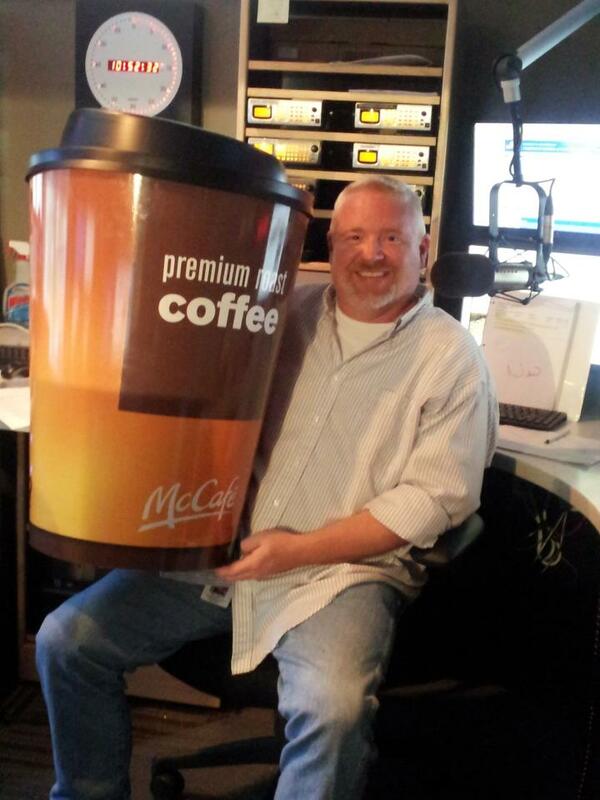 There is no doubt this is part of some overall promotion their radio stations are doing for McDonald’s. However, the pictures are fun and the message is unobtrusive enough to not bother me. McDonald’s has succeeded in infiltrating personal social networks…all for the price of creating a prop. This is how you get people’s attention in Social Media. Be different. Be clever. Be interesting. And, be personal. This entry was posted in Social Media and tagged advertising, coffee, facebook, Marketing and Advertising, McDonald's, social media, social media marketing. Bookmark the permalink.